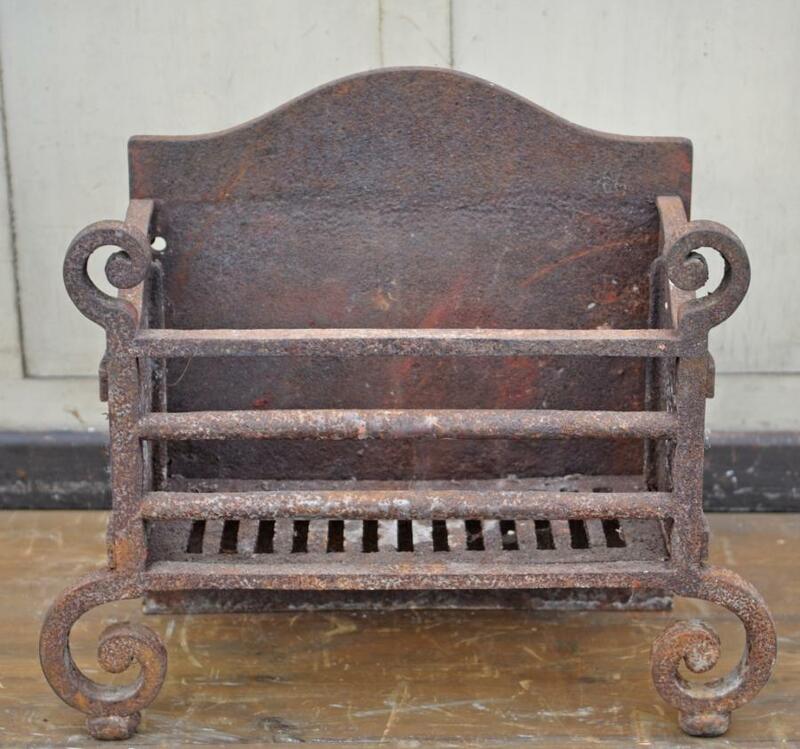 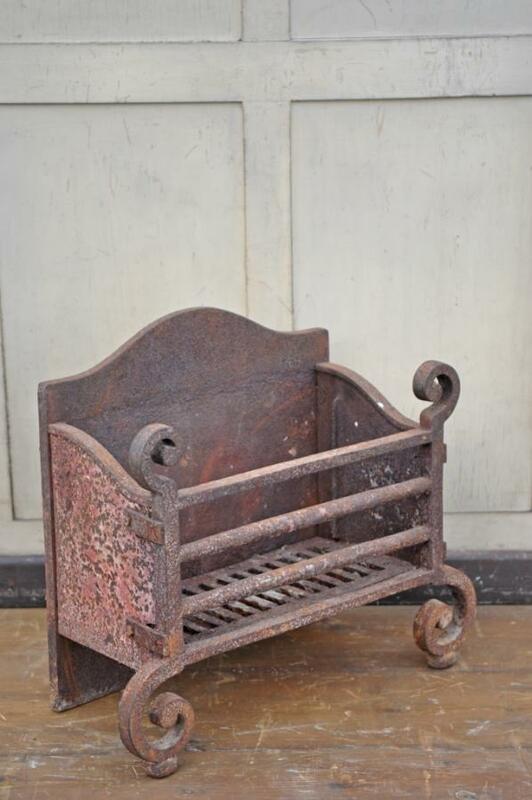 A nineteenth century cast iron dog grate with scrolled front supports and an arched back.No damage.Has a slot at the back for a firebrick to be held in place. 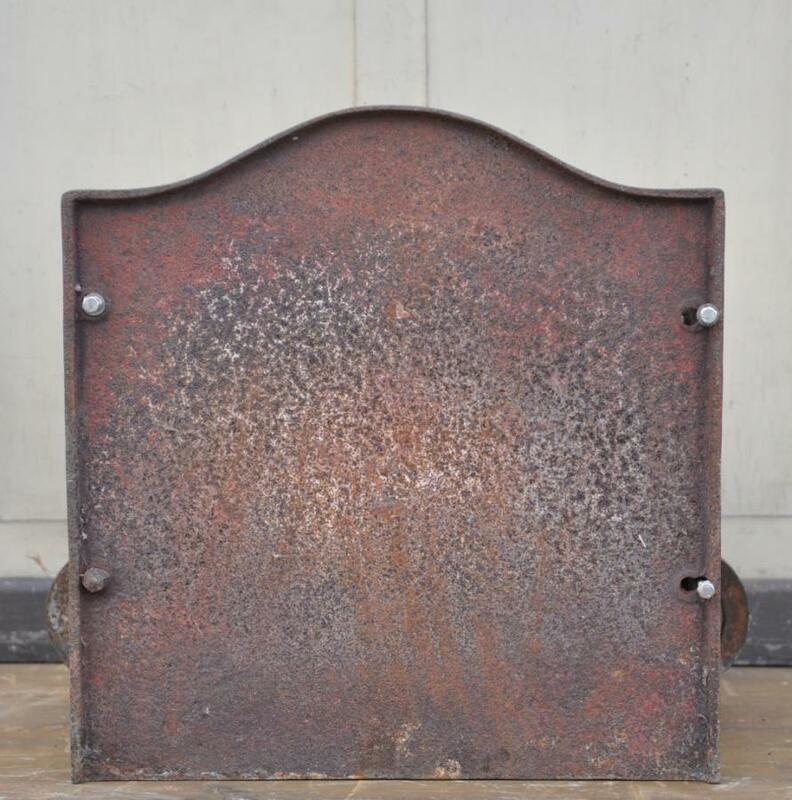 Dimensions in inches/cms; 22.5/57 max width x 19/48 max height x 9.5/24 max depth. 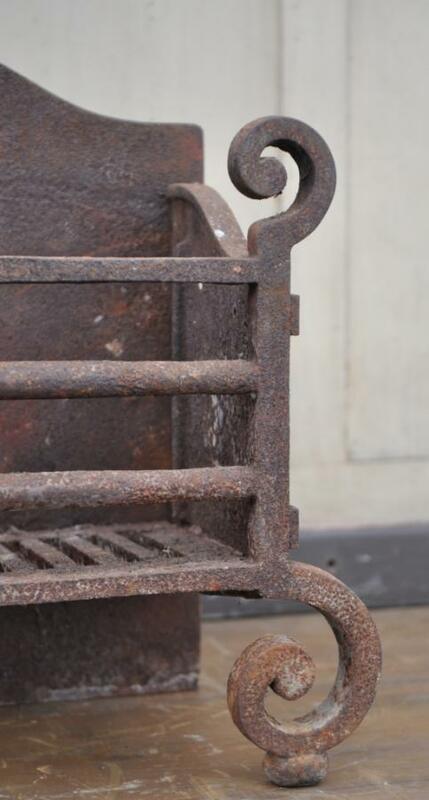 Internal grate dimensions; 16.5/42 wide x 6.5/16 deep ( with firebrick fitted, 8/20.5 without) x 7.75/19.5 high at front.